Offers: Contact club for detail of prevailing discount offers. Esentepe Golf Course is at the heart of a major property development around the historic village of Esentepe and it was the first 18 hole championship length golf course development on Northern Cyprus. The course has been sympathetically laid out and offers beautiful rolling fairways and large, protected sculptured greens. A large investment in man-made lakes and an irrigation system means the course is always well watered and is generally maintained to a high standard. 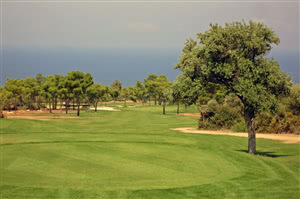 The option of multiple tee positions means the course can be enjoyed by the average as well as the scratch golfer. Certainly a course worth the visit.